Post sponsored by California Ripe Olives. See below for more details. If I had my way, I’d eat a big bowl of roasted vegetables for lunch, everyday. This cauliflower salad is another recipe that allows me to do just that. 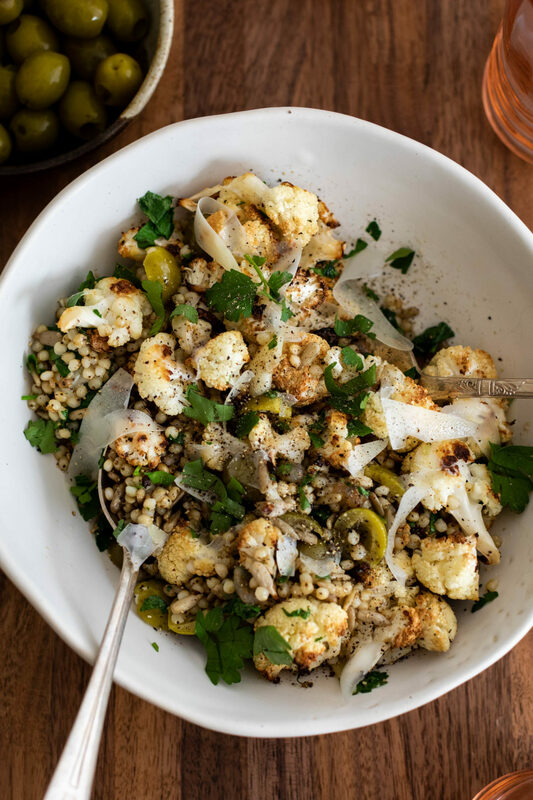 Shallot-roasted cauliflower tossed with salty olives and parmesan along along with sorghum. It’s filling and delicious! When you think California produce, you might only think about the items that hit the produce aisles in your grocery store. Sure, the state grows a lot of that kind of produce. However, there are also some other magical kinds of items that are grown with the same kind of care. This cauliflower salad was inspired by a recent trip down to Fresno to learn about California Ripe Olives. There are two types of olives that are grown for table olives: Manzanillo and Sevillano. These two varieties have a nice buttery flavor and work great as both the green and black olives. Interestingly enough, all the olives come off the tree green. It’s only in processing, when oxygen is added to the process, that green olives turn black. Same olives, same flavor- just different colors! Olives are a great crop in California. They don’t have too many pests (if you’ve ever tried an olive right from the tree- it’s super bitter!) 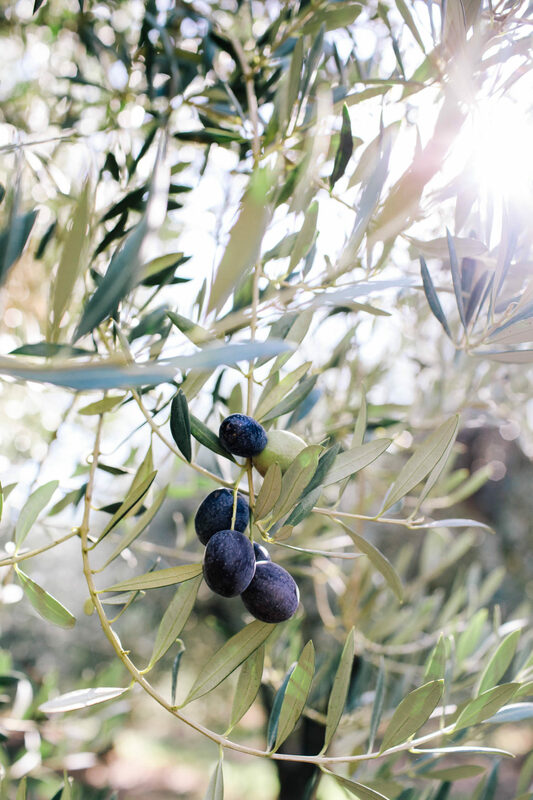 Olives also don’t require a large amount of water and can grow in a variety of soil. 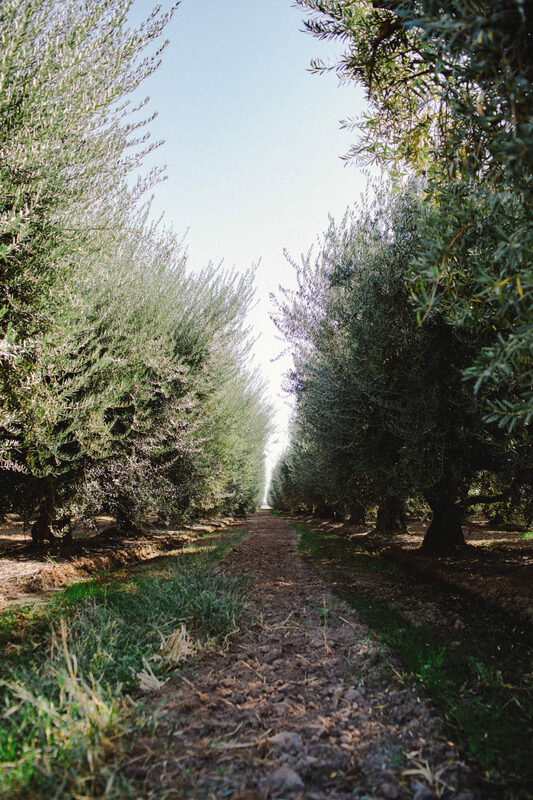 Plus, sustainability in the olive industry is important. Every part of the olive is used. Olive pits can be used in everything from making fuel to synthetic field material. I almost always have a can of olives on hand. Beyond being a solid snack, these olives make for a lovely salad or pizza topping. I also love making a salty batch of tapenade to use on sandwiches or as a simple weeknight pasta sauce. As for this cauliflower salad, I think all the ingredients come together for a delicious lunch dish. The roasted cauliflower is warming while the olives and parmesan brings the salt. The sorghum and sunflower seeds really bring the texture. Don’t have sorghum? Use another grain you might have on hand. I love the chewiness sorghum brings to the overall texture of the dish. Try cooked farro, einkorn, or barley. Quinoa would work well but I’d add a few extra sunflower seeds to boost the texture. Finally, my note every time I use parmesan. European parm is made with animal rennet (it had to be to be labeled ‘parm’). However, there’s some American cheese producers making vegetarian-friendly parm. Double check your parm and when in doubt, ask the cheesemonger- they should know! Heat oven to 425˚F. Cut cauliflower into bite-sized pieces. Place on a sheet tray and toss with olive oil, shallots, and salt. Roast, stirring occasionally, until cauliflower is golden, 30 minutes or so. While the cauliflower is roasting, melt butter in a small skillet. Add theCalifornia Green Ripe Olives, herbs, and salt. Cook for 3 to 4 minutes, just to warm the olives. Turn off the heat and add in the lemon juice. When the cauliflower is done, place in a bowl along with the sunflower seeds, parsley, and sorghum. Add the buttery olives and half the parmesan. Toss well to combine then top with the remaining parmesan before serving. Disclosure: This recipe was created in partnership with California Ripe Olive. All thoughts and opinions are my own. It’s content like this that helps me keep this site running to provide the vegetarian recipes you see every week.